For over 50 years the lawyers at Goldberg & Goldberg have represented the victims of Birth Injury and Birth Trauma caused by the hands of doctors and hospitals. Over that period of time, we have learned a thing or two about birth injuries, how they occur, what impact they have on the victim over a lifetime and how to litigate birth injury cases. This blog post is an effort to educate the families of the victims of birth trauma on how to proceed with a birth injury or birth trauma lawsuit. NOT ALL LAWYERS ARE CREATED EQUAL: This might sound snobby, and we apologize if it does, but as obvious as this statement is, most people do not know how to spot someone who has expertise in birth injury litigation and someone that doesn’t. The internet has allowed a class of lawyers to develop that are only interested in advertising their services in order to find cases to refer to other lawyers who actually know how to handle these cases. In the City of Chicago, there are very few lawyers that have the competency and financial resources to handle a birth injury case. Internet lawyers advertise for birth injury cases in the hopes of referring them to a lawyer that knows what he/she is doing and getting a percentage of the fee. These lawyers do not actually handle their own cases. How do you avoid these lawyers? Ask the right questions. Ask them to show you examples of settlements and verdicts that they have obtained as lead counsel. If it walks like a duck and quacks like a duck, it is usually a duck. The same can be said about trial lawyers. WHY CAN’T I DO THIS ON MY OWN? : In almost all cases you need a lawyer to handle a birth injury case on behalf of your injured friend or loved one. Birth Injury cases are some of the most complex and difficult cases a lawyer can handle. The medicine is complex and the lawyers hired by the hospitals and doctors are sophisticated. Regardless of what risk management at the hospital might tell you, if you attempt to handle a complex matter like a birth injury case on your own, you will not be treated fairly. Hire a lawyer early to protect your rights. A recent study published in Pediatric Reseach documents the relationship between abnormal PCO2 and unfavorable outcomes in infants suffering from hypoxic ischemic encephalopathy. 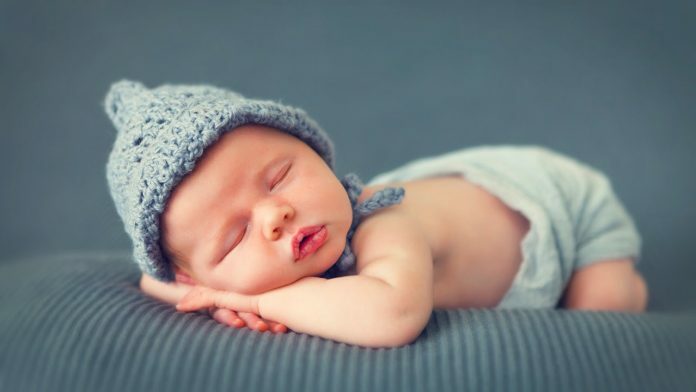 The object of the study was to determine if hypocapnia could be correlated with adverse outcomes in infants with moderately severe to severe hypoxic ischemic encephalopathy. The study utilized 234 instances of hypocapnia to determine if there was independent predictive value in data concerning abnormal PCO2 levels and abnormal outcomes for these children. The studies authors determined that there is independent predictive value in the relationship between hypocapnia and adverse and unfavorable outcomes. The authors of the study determined that future studies of normocapnia will be important in determining the extent of the relationship between abnormal PCO2 and adverse outcomes in infants with moderately severe to severe hypoxic ischemic encephalopathy. The Illinois Appellate Court, First District has decided that when a plaintiff dies during medical malpractice litigation, even after the statute of limitations has run, the estate can add a wrongful death claim. Previously, plaintiffs were faced with inconsistent statutes which made this scenario unclear. In Lawler v The University of Chicago Medical Center Justice Delort, writing for the appellate court, resolved this conflict in favor of justice for the victims of medical malpractice. The court found that since the defendants were on notice of the claim for medical negligence brought by Ms. Prusak before her untimely death that same complaint was not barred by the expiration of the statute of limitations or repose simply because her death claim did not accrue until after the expiration of the same because the original claim was filed within the statute. In 2003 the American College of Obstetricians and Gynecologists(ACOG), along with the American Academy of Pediatrics, published Neonatal Encephalopathy and Cerebral Palsy: Defining the Pathogenesis and Pathophysiology (“NEACP”). This monograph became more commonly known as “the Green Book” and it has been roundly criticized as an attempt by its authors to use “junk science” to create hard an fast “essential” criteria to diffuse obstetrical malpractice claims against Ob/Gyns. In the more than 10 years since its publications its authors have backed off the allegedly essential nature of its core criteria and physicians have been forced to admit that factors like cord blood ph levels above 7.0 can still occur in births where the fetus experiences perinatal asphyxia that is the result of negligence. Recently, ACOG published an update to the Green Book titled Neonatal Encephalopathy and Neurologic Outcome, Second Edition. This update changes some of the so-called “essential” criteria that expert witnesses have relied upon to defend causation in birth injury cases. The update defines Neonatal Encephalopathy as a clinically defined syndrome of disturbed neurologic function in the earliest days of life in an infant born at or beyond 35 weeks of gestation, accompanied by early onset seizures and difficulty initiating and maintaining respiration and depression of fetal tone and reflexes. The update relaxes the criteria which obstetricians and pediatricians feel demonstrate the likelihood of peripartum or intrapartum ischemia playing a role in the pathogenesis of neonatal encephalopathy. Abbott Laboratories best selling drug, Humira, has been linked to a host of serious side effects, including severe neurological injuries. Abbott’s is on track to sell $15 billion worth of the drug per year by 2015. Abbott already expects to sell close to $10 billion worth of Humira in 2012. Humira is used to treat a variety of rheumatological conditions, including, Rheumatoid Arthritis and Ankylosing Spondylitis as well as Crohn’s disease. It is once again time to set the record straight with your editorial board. There was never a health care crisis in this state and there were no “jackpot justice conditions” that caused doctors to flee Illinois. Your editorial board and the president of the Illinois State Medical Society (ISMS) have chosen to ignore important facts when it comes to medical care access in this state. Over the years, we have consistently increased the number of physicians in our state. That’s right. The American Medical Association data reflects increases for each of the last 45 years. Clearly not a climate of doctors leaving Illinois or retiring early. Funny how it used to be, for years, ISMS would falsely claim doctors were fleeing our state and that we already had a shortage of doctors because of fabricated “jackpot justice conditions.” As the data has failed to support that claim, the dialogue now shifts to an attempt to create a “future crisis”. In fact, a recent survey – funded in part by ISMS – clearly demonstrated oversaturation of physicians in the largest populated area of our state. That’s correct – more than enough doctors in the greater Chicagoland area. A low vitality score, better known as an Apgar score, at birth is a strong predictor of a later diagnosis of Cerebral Palsy according to a new study published on bmj.com. The authors learned that children with an Apgar score of less than 3 at birth had a 100 times more likely chance of developing cerebral palsy than those with an Apgar score of 10. The correlation between a low Apgar and cerebral palsy was highest in children with normal birth weight and modest in children with low birth weight. The study measured these correlations in more then a half million Norwegian children born between 1986 and 1995. Of those children almost 2 in 1000 were given the diagnosis of Cerebral Palsy before they reached the age of 5. The most important conclusion to be drawn from this data is that Cerebral Palsy is closely related to factors that also effect infant vitality, something that has been strongly suspected in medicine for years. Low Apgar scores can be indicitive of a brain injury that has occured at the time of birth. Goldberg & Goldberg is pleased to announce that they have settled a wrongful death case involving the death of a newborn child for $1,625,000.00. The case, Vega v. St. James Hospital, et al, involved the negligent diagnosis and management of fetal distress of mother and child during labor and delivery at St. James Hospital in Chicago Heights, Illinois in 2002. The baby survived a little over one hour before he ultimately died due to complications surrounding his resuccitation. The defendants claimed that the child suffered from a microscopic pathologic defect which prevented him from being able to adequately perfuse oxygen in utero. The child is survived by his parents and three brothers and sisters. Goldberg & Goldberg partner, Ian R. Alexander, secured a $1,000,000.00 settlement in the case of Newburg v. Swedish American Hospital, et al 02 L 263 which is pending in Winnebago County, Rockford, Illinois. In 2001, the day before Thanksgiving, Margaret Hoffman went to Swedish American Hospital complaining of chest and back pain. Doctors in the Emergency Room were able to determine that she was not having a heart attack. Her cardiologist ordered the hospital to perform a CT Scan of Ms. Hoffman’s chest in order to rule out an aortic aneurysm as the cause of her pain. The hospital did not carry out the order for a CT scan until 48 hours later when Ms. Hoffman experienced a drop in her hemoglobin which indicated that the aneurysm had ruptured. Unfortuntely this intervention came to late and Ms. Hoffman, a 61 year old clerk at Zion Development Corporation, passed away on the operating table. Ms. Hofman was survived by her two adult children. Records indicate that this settlement was one of the largest recoveries in recent history in Winnebago County for a wrongful death case where the survivors were adult children, and one of the few cases to settle in Rockford for in excess of $1,000,000. We are very proud of the hard work that we did for Ms. Hoffman’s family. From the beginning all of the defendants claimed that Ms. Hoffman’s death was a result of her own poor health and had nothing to do with the numerous mistakes that they made in caring for her while she was a patient at the hospital over the Thanksgiving holiday in 2001.